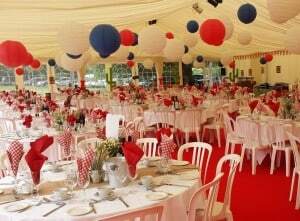 A stable electrical supply is essential for many marquee events to power lighting, sound, catering and heating. We are stringent in our power supply evaluation and management for your peace of mind. 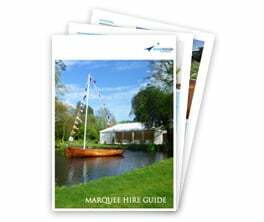 At Inside Outside marquees we take health and safety seriously and we want to ensure that your event runs completely smoothly. To this end we employ only ECA (Electrical Contractors Association) qualified, professionals. 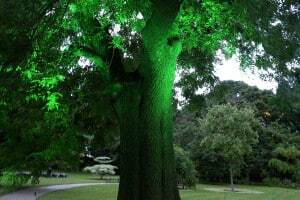 They are involved at the design and planning stage, as well as set up and installation, plus they are on 24 hour standby during the event. 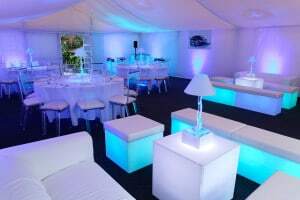 At larger scale functions and corporate events, an electrician can be in attendance for the duration to ensure an uninterrupted service. This offers additional peace and ECA certification, if required, can be issued for the installation. To guarantee there is an adequate power supply in place to service your event, we will liaise with all services – the caterers, P.A. system, lighting, washroom facilities, band or disco – to assess their individual power requirements. Electricity will typically be taken from the mains supply, and fed to a temporary distribution. 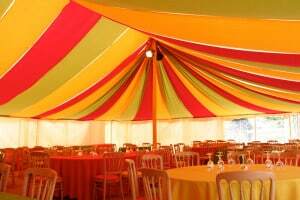 All circuits are clearly labelled and discreetly fed around the marquee structure. If the mains supply (typically 60-80 Amps) is not sufficient to supply the event, trailer-mounted power generators can be supplied either as a standby to the mains, or as the primary supply. N.B.The mains supply needs to be within 30 metres of the distribution board, or special cabling is required. It is important to consider lighting requirements both inside and out. Depending on the time of year, natural light starts to fade from late afternoon and we recommend outside lighting and lanterns for safety. 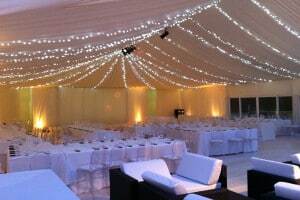 We can light marquees to achieve wonderful effects, from elegant wedding chandeliers with white up-lights around the interior of the marquee, to the contemporary colour change LED up-lights, with dapple effect overhead lighting. 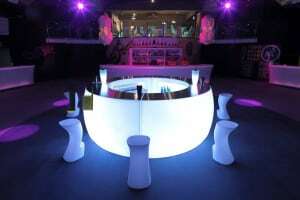 Subtle or dramatic we have experience in creating the ideal ambience to suit your mood or theme. 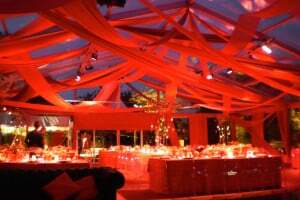 A marquee exterior lit up at night can look simply magical. 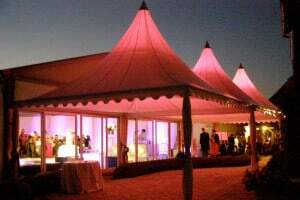 A good example of this is the Chinese Hat Pagoda marquees back-lit with LED lighting. 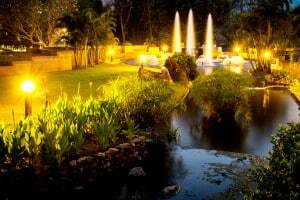 Exterior lighting can also be used very effectively to highlight garden features, trees and buildings.